"Finleigh, you have to put on your pull-up and pick up the books you threw before you can leave the bathroom." It had been an especially difficult bathtime and while I wasn't dripping wet, I was wetter than I cared to be. I was trying to keep my demeanour calm and ignore the negative behaviours, while still applying consequences to them. She looked straight at me and threw a full roll of toilet paper into the draining bathtub. I just looked back. I didn't say a word. She knew what she did. She knew what I thought about what she did. "Oh no! The toilet paper wet!" Was her response. Nothing like stating the obvious to try get out of trouble. 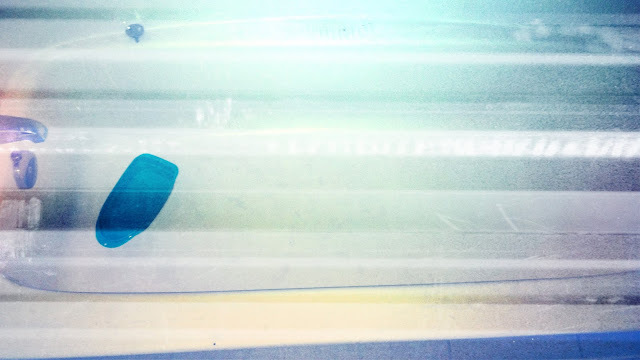 She pulled it out of the bathtub and tore it in half. She looked at it curiously for a minute. Then threw it in the garbage can, as instructed. The pull-up went on. It took three tries of picking up the books and then throwing them back on the floor before they were finally left where they belonged. And finally, we could leave the bathroom. Or rather she did. I stayed behind to relieve myself... forgetting that I didn't have toilet paper handy... which ladies, is always fun, isn't it? Side stepping over to the drawer, trying not to drip. Reaching as far as you can to minimize your movement, as if that's really going to change anything, because you've probably already dripped. Next morning addendum: One of the reasons why bathtime was so difficult last night was because she didn't want her face washed. 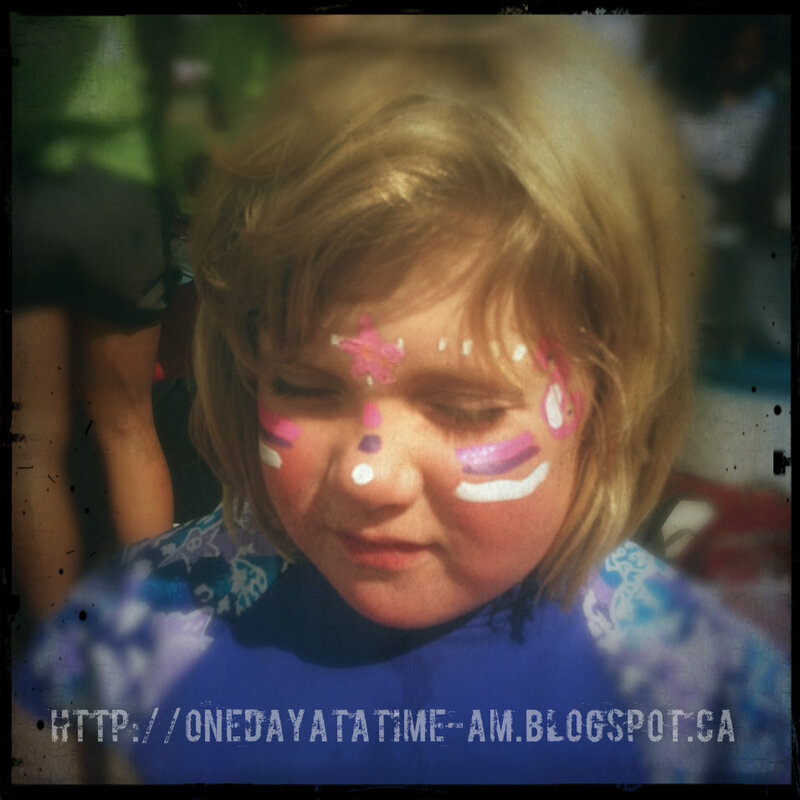 She'd been to a car show with her respite worker, and there was facepainting there. It was all smeared and in her hair, but she was terribly disappointed to have it go away. The only way I could calm her down was to promise her she could wear mommy make-up in the morning. She was sure to remind me first thing this morning (after she'd pee'd in my bed, but before she spilled milk all over me at breakfast).